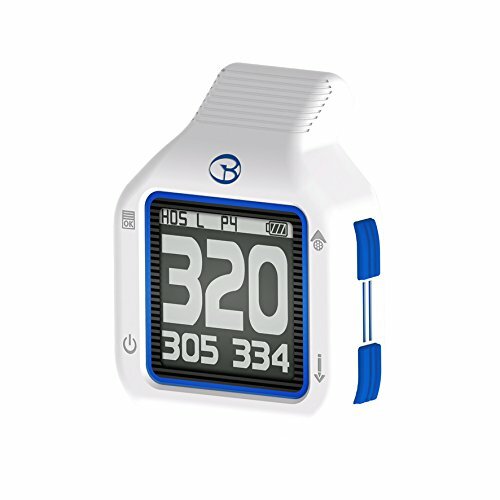 The CT2 Golf GPS from GolfBuddy is one of the highest rated micro-GPS in the market. It comes with a built-in clip that you can use to hold it in place on your towel ring or golf bag. This versatile device has plenty of features that include a Digital Scorecard, Pin Placement, and Dynamic Green View. The GPS is also tournament legal, and it has a rechargeable battery that can last for up to 17 hours without having to recharge it. Measurement: It measures distances to back, front and center of the green and also to various hazards on the course. Digital Scorecard: You can record and track all your scores using the digital scorecard and also transfer them to the GolfBuddy Course Manager Program free of charge. Auto Course/Hole Recognition: CT2 will not only recognize the course that you are playing on automatically, but it will also identify all the holes. Pin Placement: This device has nine pin placements on the green, and the good thing is that they are all moveable and hence giving you better control of your game. Dynamic Green View: The Dynamic green view is one of the top features of this device because it offers you the distances from your correct approach and also makes it possible to see the shape of the green. Tournament Legal: Features and the design of this golf GPS make it tournament legal, and so you can also enjoy its many benefits when playing on a tour. Design: The design is very versatile, and it makes it possible to fit the device in pockets and also clip it to lanyards, golf bags, and towel ring. Battery: This GPS has a rechargeable battery that can last for up to 17 hours without having to recharge it. The first thing that you will notice with this GPS is how first the distances update. And so the fact that you do not have to wait for several seconds for the updates is one of the biggest benefits that you get from the CT2. Accuracy is also another advantage because this golf GPS assures you of correct and reliable data. Set up is incredibly easy as you only need to turn it on, and it will be ready to go. The CT2 has many beneficial features that will improve your golfing experience. You can use it in any weather as it is water resistant. This GPS is very convenient to carry because you can even attach it to your towel ring. It offers dependable and very precise distances. There are no extra fees for downloading the courses or updating them. Syncing it with the Mac OS is a big problem for some golfers. The thinness of the charger pins makes them more prone to bending or breaking. The LCD is not colored, and this makes it look outdated. Some golfers complain that it is not as feature rich as others in the same price range. There are also a few complaints of mapping inaccuracies. 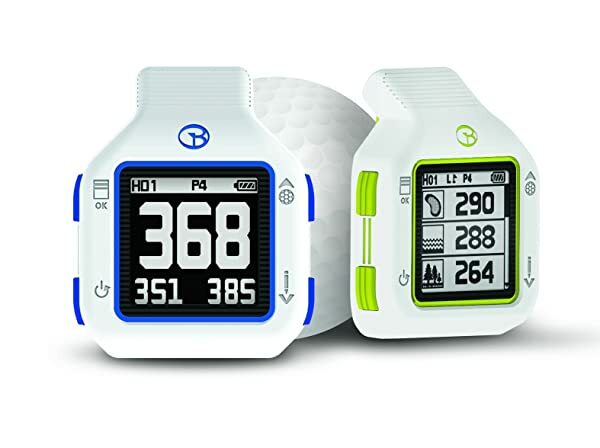 If you are looking for a modern golf GPS that will give you very accurate yardages, then the CT2 from GolfBuddy is a perfect choice for you. Apart from the fact that it is from one of the most trusted brands it also has a good design with plenty of features to help you enjoy the game and improve your skills. It is also easy to set up and use even for beginners or players with no prior experience with this kind of devices. And to top it all, it also has a long battery life and a small compact size for effortless portability. Although it also has a few minor flaws, the bottom line is that it is a top notch device that will not cost a lot of cash, and so it is worth trying out.